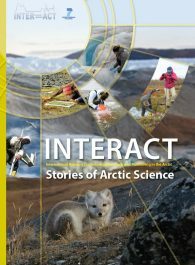 This book contains stories of cutting-edge ArcticDefinitions of the Arctic vary according to environmental, geographical, political, cultural and scientific perspectives. 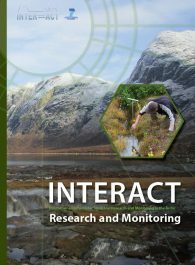 Some scientists define the Arctic as areas having a high latitude, long winters, short, cool summers,... More research supported by INTERACT Transnational Access, as told by 138 scientists from 17 countries. 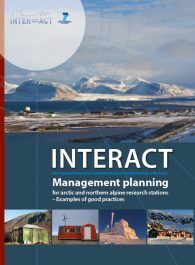 The book consists of seven sections focusing on landscape-forming processes, glaciers and permafrostPermafrost is frozen ground that remains at or below zero degrees Celsius (32 degrees Fahrenheit) for two or more years. 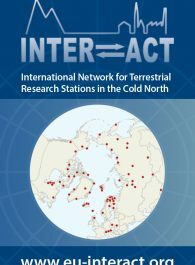 It forms in regions where the mean annual temperature is... More environments, ground processes that store and release greenhouse gases, the ecologyThe study of living organisms in their environment, including where they are found and how they interact with their physical environment and with each other, for example through food webs.... More of land and freshwater, and the Peoples of the Arctic. 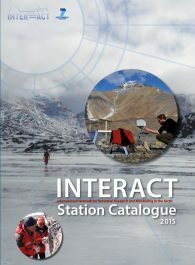 INTERACT Stories of Arctic Science has been edited by INTERACT Coordinator Terry V. Callaghan and Transnational Access Coordinator Hannele Savela. The preface has been written by Her Royal Highness Crown Princess Victoria of Sweden.